Should I Get a **Knee Scooter** from Walmart in DENVER? 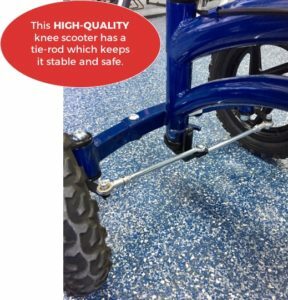 Should I Buy a Knee Scooter at Walmart in Denver? There are 2 reasons why you should NOT consider buying a knee scooter from Walmart. You can only buy the scooter; you can’t rent. You don’t need to buy something that you’ll only need for a specified amount of time. There is a BETTER Option for finding a knee scooter to recover from your injury or surgery. 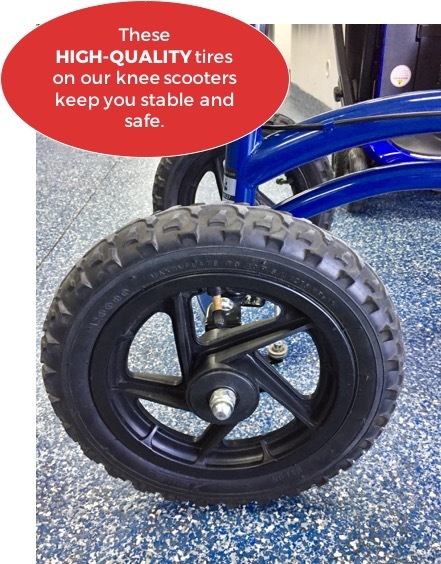 Rather than spending money on buying a crummy knee scooter, your money is better spent renting a higher-quality model from Denver’s premier scooter medical leg scooter. 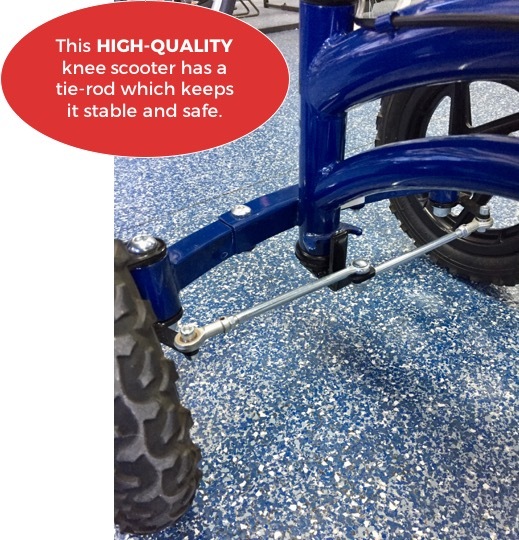 Get a scooter with a tie rod, to produce more mobility. Find a scooter with blow-up tires, to get you over different types of terrain, and produce a more comfortable riding experience. When you are approaching a surgery on your leg, or you have a long recovery ahead because of an injury, your doctor can often paint a picture that suggests you’re going to have limited mobility for months ahead. Do You Want to Own a Cheap Walmart Knee Scooter Forever? You may initially think that it makes sense to buy your scooter to save money. But consider one important fact: You’re not going to want this scooter hanging around your house after you’ve fully healed. Do You Want to Sell Your Scooter that You’ve Purchased? You can try to sell it but do you really want to worry about that kind of task? You want to get rid of this thing when you’re done and let your injury become a difficult memory far in the past. The other consideration you should think about is that when you rent you’ll be able to afford a higher-quality scooter. You want your time on a scooter to be comfortable, with the best mobility possible. It’s worth spending a few extra dollars to rent a knee scooter that does the job, rather than spending a fair amount of money buying a cheap scooter from Walmart.